LCD or flat panel computer displays are the latest and greatest offerings in the desktop computer industry. They have been used for years in the portable and notebook computing markets, but recent developments have increase performance and size while reducing costs making them viable in the desktop environment. LCD displays are lightweight, extremely thin and use much less power than CRT based monitors. LCD panels are used in various applications ranging from smaller portable electronic equipment to larger fixed location units. Applications such as the display device for digital watches, portable calculators, LCD Monitor and TV, laptop and notebook, arcade game machines, automobile navigation systems, industrial machine, video and digital cameras. Life span, this is typically the time taken (viewing hours) for the average backlight to dim to 50% of their original brightness. Generally, LCD monitors last longer than CRTs. A typical LCD lifespan is 50,000 hours of use compared to 15,000 to 25,000 for a CRT. A longer monitor lifespan can provide a better return on investment. Integrated circuits (ICs) are classified according to their levels of complexity: small-scale integration (SSI), medium-scale integration (MSI), large-scale integration (LSI) and very large-scale integration (VLSI). They are also classified according to the technology employed for their fabrication (bipolar, N metal oxide semiconductor (NMOS), complementary metal oxide semiconductor (CMOS), etc.). The design of integrated circuits needs to be addressed at the SSI, MSI, LSI, and VLSI levels. Digital SSI and MSI typically consist of gates and combinations of gates. These standard gates are designed to have large noise margins, large fan out, and large load current capability, in order to maximize their versatility. In principle, the basic gates are sufficient for the design of any digital integrated circuit, no matter how complex. In practice, modifications are necessary in the basic gates and MSI circuits like flip-flops, registers, adders, etc., when such circuits are to be employed in LSI or VLSI design. For example, circuits to be interconnected on the same chip can be designed with lower noise margins, reduced load driving capability, and smaller logic swing. The resulting benefits are lower power consumption, greater circuit density, and improved reliability. On the other hand, several methodologies have emerged in LSI and VLSI design that are not based on interconnections or modification of SSI and MSI circuits. The effort required for the design of an integrated circuit depends on the complexity of the circuit. The requirement may range from several days effort for a single designer to several months work for a team of designers. Customdesign of complex integrated circuits is the most demanding. By contrast, semicustom design of LSI and VLSI that utilize preexisting designs, such as standard cells and gate arrays, requires less design effort. IC design is performed at many different levels. 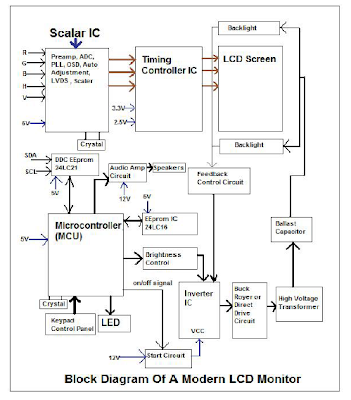 Level 1 presents the design in terms of subsystems( standard cells, gate arrays, custom subcircuits, etc.) and their interconnections. Design of the system layout begins with the floor plan of level 3. It does not involve the layout of individual transistors and devices, but is concerned with the geometric arrangement and interconnection of the subsystems. Level 4 involves the circuit design of the subsystems. Levels 2 and 5 involve system and subcircuit simulations, respectively, which may lead tomodifications in levels 1 and/or 4.
of level 4. Lumped under the fabrication process of level 7 are many tasks, such as mask generation, process simulation, wafer fabrication, testing, etc. Broadly speaking, floor plan generation is a part of layout. 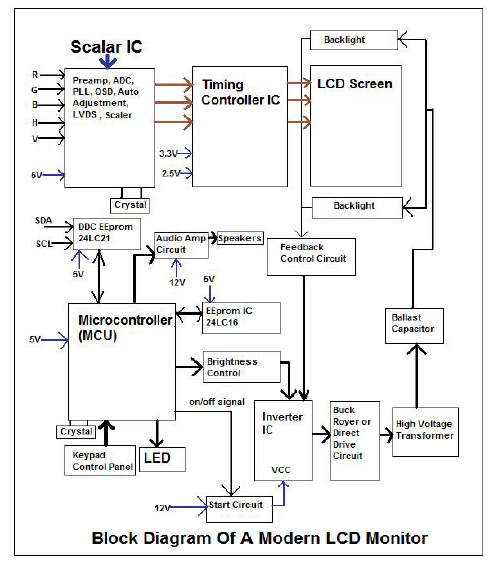 For large ICs, layout design is often relevant to system and circuit design.